Desperately Seeking Adventure: Next Stop... Leeds, England! Beating my post Scotland blues I looked towards Yorkshire to serve something industrial and then historical. With the astronomical train fares I chose the Megabus to Leeds before checking out York, going up north had to be the one! Choosing the alternative, Leeds had something to show me, from darkness there comes light and Leeds shone brightly! 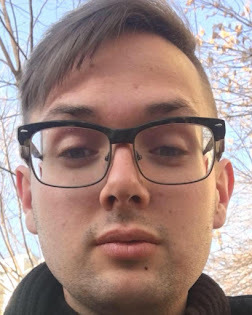 Don't hold back! Getting down from my Birmingham Megabus at Leeds Bus Station allowed me to begin my northern trip. Looking for the markets I didn't have to go far, clocking Kirkgate Market I viewed a normal looking set of market stalls that didn't exude the 19th century architecture that I had researched! 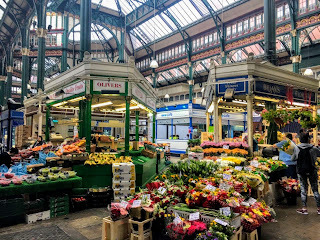 Seeing the period market stalls with the fresh fruit and the famous Marks & Spencer Penny Bazaar I was snatching the views that I had wanted to! 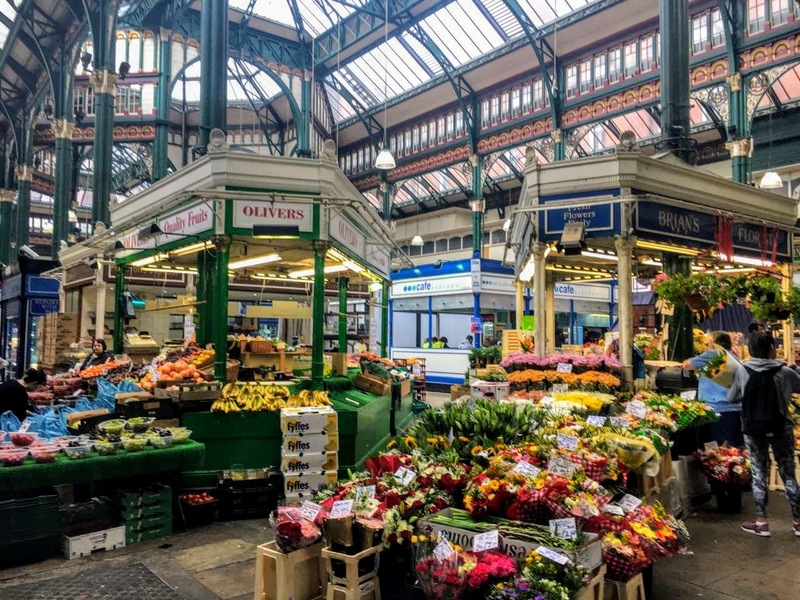 Giving me everything that a traditional English market should do, adorned with colourful beams and a legendary glass roof that oozed period features I was loving that Yorkshire market without a doubt! Ranging from a unique foods stall that served a slice of what London's Borough Market does I was thrilled the majority of the stalls embodied independence, not paying no mind to chains or the shady business a certain Corn Exchange did to eradicate the talent! Kirkgate tell the truth! Was I looking to bag a bargain from those humble stalls at Leeds's Kirkgate Market? I did stop for a coffee at an ordinary looking cafe, personally for me it was all about appreciating the look of the market. The Marks & Spencer Penny Bazaar stood proud, representing the original store that began the empire of quality products. Taking note of the history I was extremely impressed by the story of Kirkgate Market, a powerhouse of enterprise within a city that went above and beyond within its many industries. Did M&S shade Kirkgate Market? Returning to the market during 2012 with a dedicated Penny Bazaar brought that Leeds born business back to its roots, telling the time wasn't an issue as a timely green clock was presented to the market in 1984 to celebrate the centenary of M&S setting up shop way back at Kirkgate in 1884. Kirkgate Market kept it real, honest and from my view it looked like things were independent, finding out about a certain ousting within Leeds was so cold! Leeds presented itself as a Victorian showcase city with all of its period features I loved it, obviously Victoria is my favourite queen! Leaving Kirkgate Market behind me I was curious what was worth to see next. Millennium Square was littered with a funfair, not impressed by that sight I noticed Leeds Town Hall was just over the road from the Mandela Gardens, lets just say that Victorian civic hall had me transfixed by it's ruling queen! 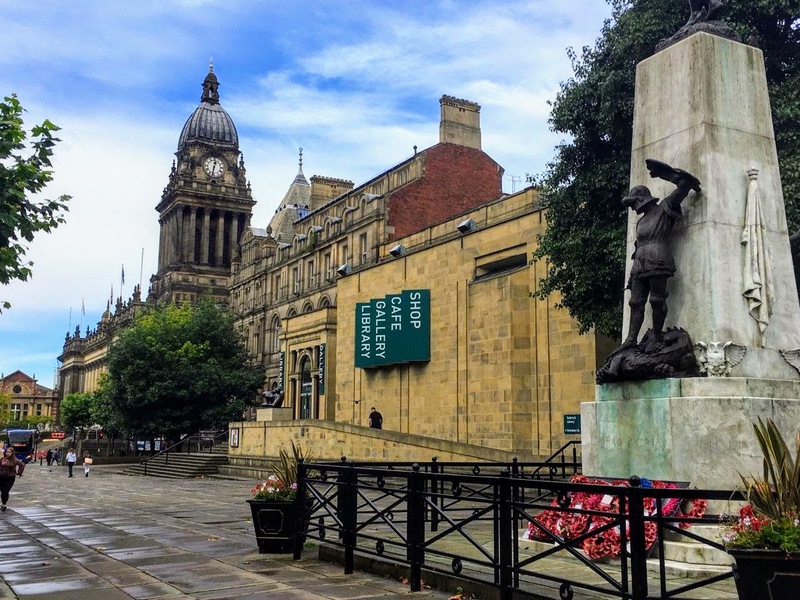 Walking away from Millennium Square towards Leeds Town Hall I captured a top vista, encapsulating Leeds Art Gallery, Leeds War Memorial and the Town Hall for good measure. Challenging this alternative northern city had me looking for something ordinary that in my minds eye gave me everything and even more! I could only imagine what life was like during that Victorian hey day after the opening of the Town Hall? Leeds looked victorious with all of its Victorian overness! Yass! Why Leeds? I had three north west cities to choose from, between Sheffield and Bradford I chose Leeds for its close to proximity and cheap train fares to York, my next port of call during that northern trip. I always look for somewhere that's not on the tourist map, any of those cities sounded like the perfect place for that business. Not wasting any time I was off my Megabus that morning to see what hidden gems I could find, as I profess that I hate shopping I did not pay attention to the pedestrianised shopping streets for something else. The rain may have poured a bit in the morning but the early afternoon was blessed with some lovely sunny weather, perfect for moving onto the next phase of my Leeds day. Being proud of it's working class flex, Leeds presented itself as a modernising city with bucket loads of character. I saw that it was fashioning its factories into spaces for the future. Talking about a working class flex, I was about to see a place that allowed Leeds to soar! 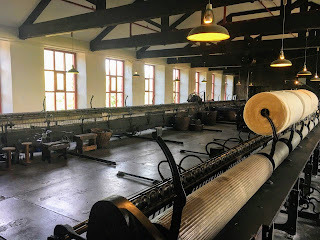 Leeds displayed its fashion lines proudly thanks to its industrious ways, crafting the cotton brought by the barges the working people of the Armley Mills hustled hard during those challenging days during Britain's Industrial Revolution. Stepping into the Leeds Industrial Museum schooled me back to those days and beyond, linked to the port of Liverpool by a vital canal link brought the raw materials to the former mill. Leeds's premier fashion houses would have well been stocked with the finest garments but the workers of Armley Mill and many others of its time worked immensely hard in conditions that brought the name 'sweat shop' to light. Witnessing the 'spinning mule' I could not begin to imagine how the work conditions were for those desperate workers, some of them I read were children who were working to support their families. I was proud of the history of the mill but for the treatment of the workers, no! Not just famous for its cloth making but in the here and now Leeds is known for a popular ITV soap opera, going by the name of Emmerdale. Before making my self guided trip to Leeds and then York I had looked at tours that were packaged for that area with a visit to the Emmerdale filming set. Deciding the Armley Mills at the Leeds Industrial Museum would show me a real part of Leeds's history I didn't pay the Emmerdale Experience much attention, but believe me I'm not being shady. Leeds looked like it had a great set of bars but I was so whacked out from seeing all I did in that day, choosing to take it easy I missed the opportunity to see any of the bars during their best hours. Dealing with that nighttime factor I know that I will make up for taking it easy in one of my upcoming trips. Leeds served several things that I really loved, its past and Victorian charm impressed me much! I'll never underestimate the draw of a city that's not a London, Manchester or Birmingham! Yes L!